This pink diamond has been talked about a lot by gem enthusiasts and jewellery collectors alike. According to experts, the Argyle Pink Jubilee Diamond is the largest rough pink diamond, to have been mined in Australia. 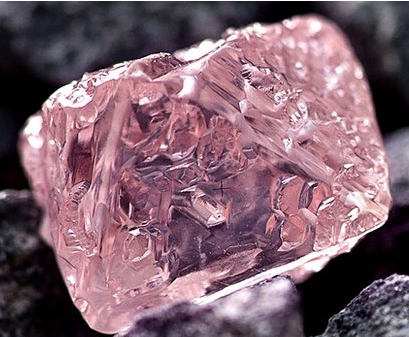 It was discovered in a mine which produces more than 90 percent of the pink diamonds in the world. Sources say that the Argyle Pink Jubilee Diamond is as big as a pound coin. Pink diamonds are extremely valuable, and have inspired movies like The Pink Panther in the past. Hollywood star Ben Affleck also used a pink diamond ring to propose to Hollywood actress Sandra Bullock, his fiancée at the time. Coming back to the Argyle Pink Jubilee Diamond, the stone is currently placed under heavy security, as craft persons work towards getting it ready in time for its grand auction, scheduled to be held a few months from now. According to gem industry estimates, the Argyle Pink Jubilee Diamond will be worth at least a few million dollars, but no one is sure about the exact price it will be listed at. Some bookies have guessed that the Argyle Pink Jubilee Diamond will fetch roundabout 20 to 25 million pounds, if auctioned. As the pink diamond is a rough diamond, it is presently very difficult to judge the price of the stone. The price of the Argyle Pink Jubilee Diamond will be determined only after seeing the size it is finally polished down to, as well as its clarity and intensity of colour. According to pink diamond experts, a diamond can lose about 50 percent of its size during the polishing process. Hence, the size of the final Argyle Pink Jubilee Diamond and its price could vary immensely. Also, there will be no photos of this pink diamond, until the process of polishing is complete, and it is ready for auction. Aaaah! Nothing in the whole article about it's actual carat weight!!!! Very disappointing, that's the main thing I wanted to know about. The diamond currently weights 12.76 carats...but after it is cut and polished it is expected to weigh a little lesser!